We’ve been compiling some amazing Porsche models on the internet for a few years now, and we’ve seen some pretty astonishing examples pop up now and again. 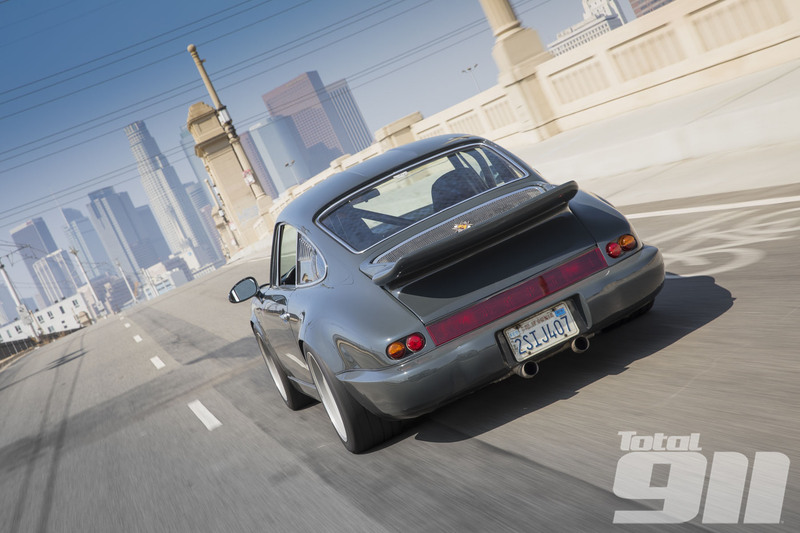 This week we’re looking at Porsche models from the 80s and 90s, because we’re just getting back from Radwood Austin. Hopefully you’ve enjoyed our « curated » look at the Porsche market. Keep in mind, some of these Porsches could be great collection investments, while others might prove to do more financial harm than good. I saw this car in person during the Momo Road To Rennsport rally, and it was impressive to watch it being put through its paces. Whether dirt or paved, the 911 seemed to be able to handle anything you threw at it. I have not driven this particular Safari 911, but some of the others I’ve been in have driven quite well, and are well worthy of inclusion in Porsche history. This is a recent trend, but the usefulness of a higher ride height and aggressive tires is never lost on those who know. Work included custom-fabricating rear strut mounts and a roll cage, as well as front and rear brush guards with aluminum skid plates. The suspension was fitted with KW Clubsport coilovers and 935 components, and PAGID Racing brake pads were also installed along with fifteen52 wheels and all-terrain tires. Power comes from a 3.0-liter flat-six equipped with 964-grind cams, and the 915 transaxle was fitted with with shorter 2nd-4th gears and a Wavetrac limited-slip differential. The interior was refurbished with new Recaro seats, PRP harnesses, door panels, and carpets. Additional lighting, a fiberglass rear deck lid with ducktail spoiler, and a roof rack were also fitted, and a white livery was applied over the Guards Red paint. The car has been driven approximately 2,500 miles since the work was completed, and it is now being offered in California with records and photos from the build process, a Porsche Certificate of Authenticity, and a clean Virginia title. If you’re looking for a unique Porsche driving experience, this one will treat you well. Inspired by iconic Kremer racing cars of the era, the German Porsche tuner worked with its fiberglass supplier DP Motorsport to build a series of street cars with a similar aggressive look. These slant nose cars are held in high regard, both because they were built by an extremely reputable shop, but also because they made crazy levels of power, and looked just crazy enough to match. 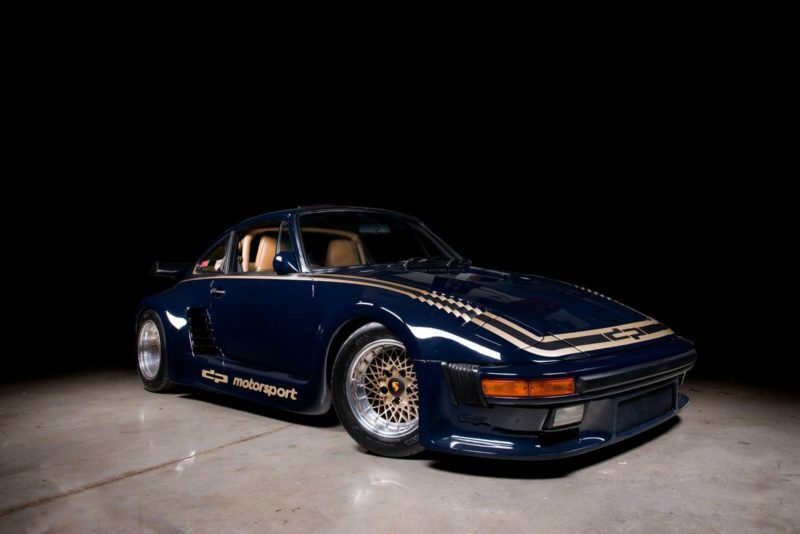 If you’re looking for a rad-era Porsche, it doesn’t get much more rad than this. According to the listing, this car was originally ordered by motorsport legend Mario Andretti. That just adds a bit more cachet to the listing, and adds another talking point to your conversation starter. The 993 C2S is the rarest example of regular series 993 built, with fewer examples even than the iconic and expensive Turbo S. If you’re looking for a fun example of the smooth 90s shape, this is a good place to start. The twin-split rear engine grille is a great look, and of course the rear-drive layout gives you more steering feel versus the four driven wheels of a C4S or a Turbo. If you’re in the market for a 993, this might be the one to look into. And prices are just now starting to level back to sanity. This one seems to be well priced. Where the 993 market seems to be settling down a bit, the 964 market is still going gangbusters. This example is a gorgeous low-mile lightly modified Grand Prix White C2. These are so great to drive, and because the economy was in the tank when they were made, are quite rare to come by. 964s are starting to get their due, or perhaps even a little more. This is the best shape 911 in my opinion, and drives more like a modern car than a Carrera 3.2 does. If you want one to take for canyon rips, this might be the one for you. If 964 Carrera 2s are commanding crazy money, then the 964 Turbo market has gone bonkers. This particular example is revered largely for its very rare and very beautiful Maritime Blue paintwork. This example is still under 50,000 miles, and has recently had a full mechanical refresh. New suspension components, a clutch and flywheel, and a top-end engine rebuild to remedy the common head stud breakage issues. Based on the description in the ad, this car is ready for prime time. If you can afford it, I highly recommend buying this one. We’ve been compiling some amazing Porsche models on eBay for a few years now, and we’ve seen some pretty astonishing examples pop up now and again. This week we don’t really have any focus. Hopefully you’ve enjoyed our « curated » look at the Porsche market. Keep in mind, some of these Porsches could be great collection investments, while others might prove to do more financial harm than good. The 981 Boxster Spyder is a 3.8-liter monster of a road car. In fact, it may well be the best road-going car I’ve ever had the pleasure of driving. The convertible top is fiddly, but the ride is comfortable and compliant, the power is immense yet tractable, and the steering is sublime. These have held their value quite well, but this one has over 40,000 miles on the odometer and has dipped under the 80,000 dollar mark. If you’re looking for a driver grade experience, this is an excellent place to start. Tahoe Blue is one of the most beautiful colors in Porsche’s color palette. It’s a damn shame that it is such a rare shade, because I’d love to see more of these. The 964’s body shape is simple and easy on the eyes, and makes for a great canvas for this color. If you’re in the market for a nice 964, grab this one up before it gets Singer-ized or RWB’d. 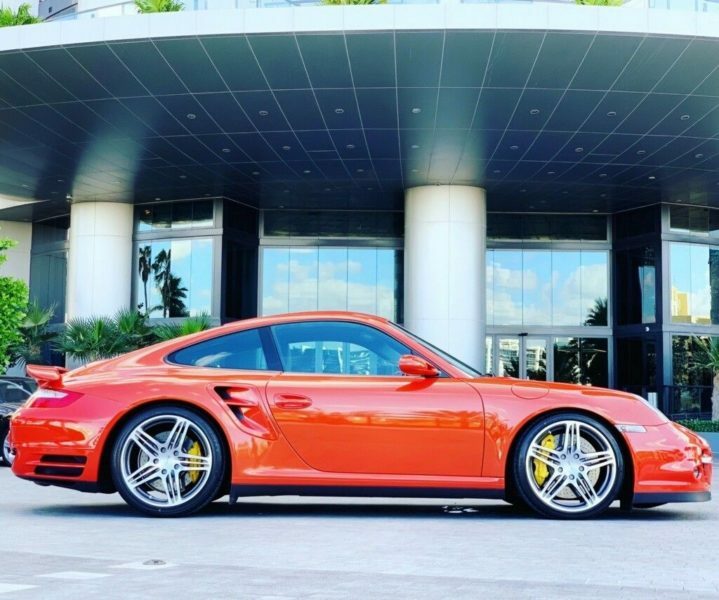 Another excellent shade of paint, this 997 Turbo is said to be one-of-one in Zanzibar Red, and the price reflects that. The 997 Turbo is an excellent car, and deserves to be taken out as often as possible. This is a ridiculously fast car that is still comfortable enough to be driven on a daily basis. Though this one has retained a 6-figure price tag more than a decade after it was built, it might just be worth every penny. While Porsche moved to impact bumpers and poorly planned emissions controls in 1974, this car’s color might make up for it not being quite as good as a 1973 long-hood. With only 55,000 miles on the odometer, this Ice Green Metallic beauty looks almost like brand new. The tan interior is an incredible match to the exterior paint color as well. This narrow-body is really growing on me. The 987 Boxster Spyder isn’t quite as refined nor as fast as the 981 version, but they’re hovering in the 60,000 dollar range, so they are a good bit less expensive, and still an absolute riot to drive on the street. While these only had a modest increase in power, the lightweight wheels and top and suspension tuning contribute to an incredible driving experience. This particular example is a PDK equipped model, and while I’d personally prefer the 6-speed manual option, it’s still quite good. If you want a nice driver or collectible piece, look into these before they all disappear.